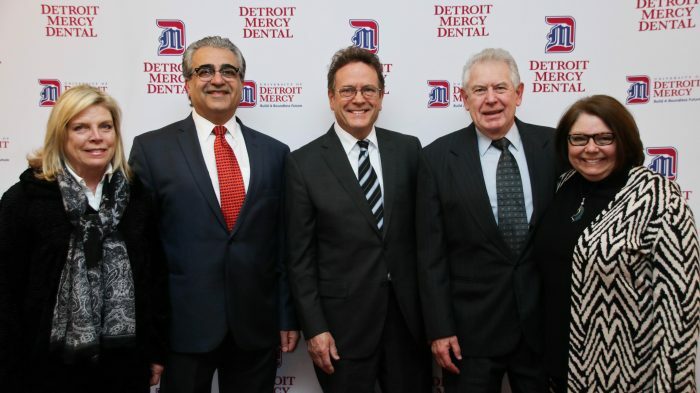 Alumni spanning generations joined together on Friday, April 13 at the Inn at St. John’s for a day of learning, networking, and information about today’s Detroit Mercy Dental. 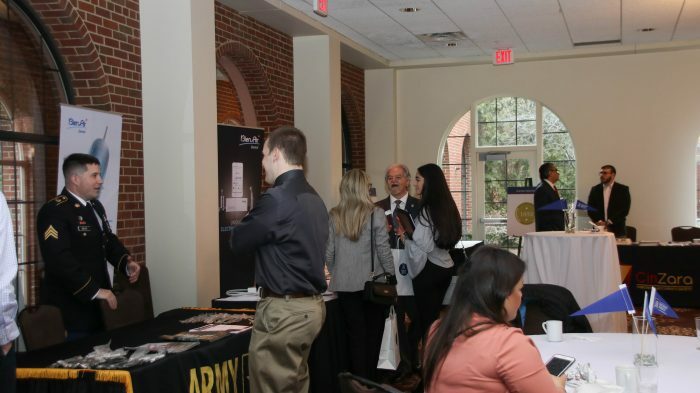 We always look forward to this opportunity to connect with graduates and watch them catch-up with one another and recall favorite memories of their school days. 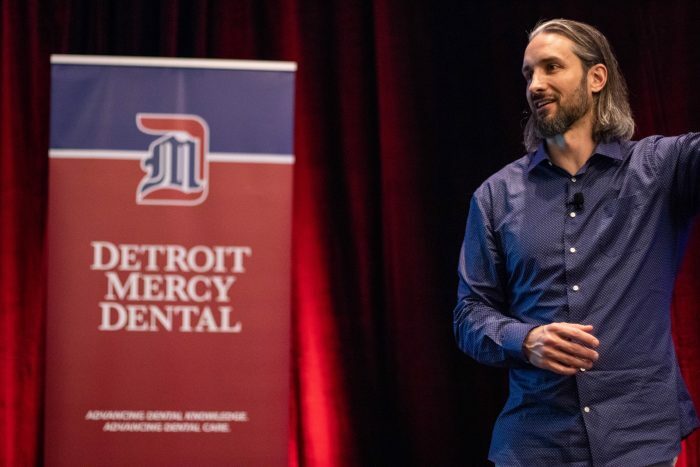 Throughout the day, a continuing education course was provided by New York Times best seller, Garrett Gunderson, Founder and Chief Wealth Architect of Wealth Factory. 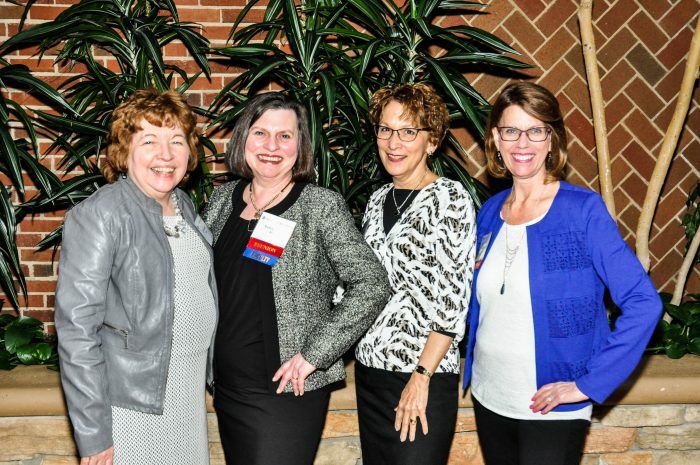 Gunderson’s presentation, “Real Wealth: Detecting Preventing and Eliminating Financial Decay Through Recovering Cash and Taking Control of Your Finances,” was an insightful course aiming to help alumni manage their professional financial goals. 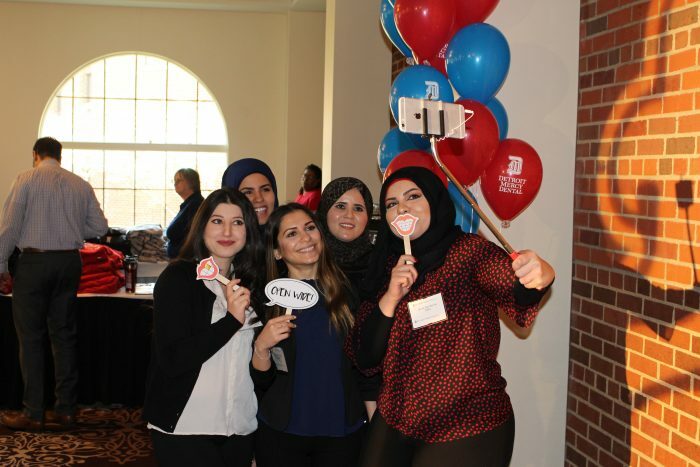 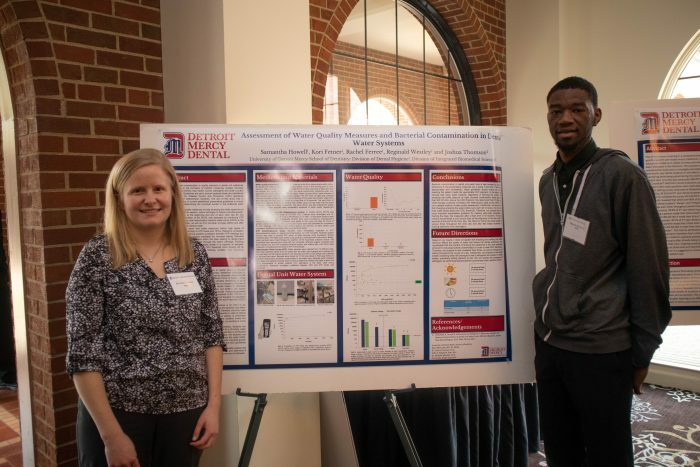 Attendees also browsed a vendor show, research boards presented by current students and faculty, shopped Detroit Mercy Dental apparel, and had a photo-shoot at our dental-themed selfie station. 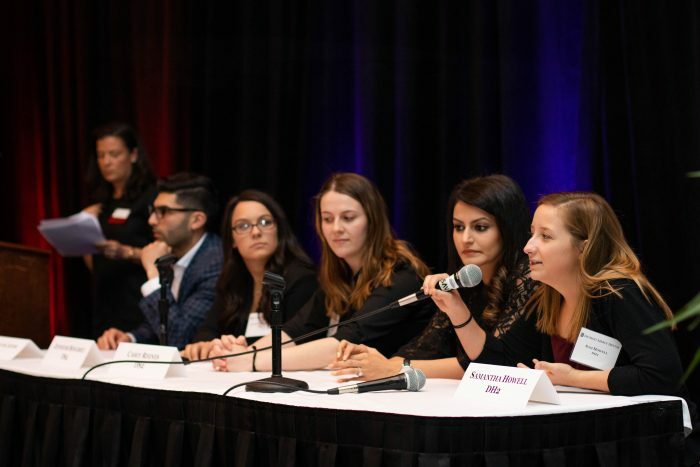 For the third consecutive year, a student panel provided insight into the current educational experience as dental and dental hygiene students answered questions posed by alumni attendees. 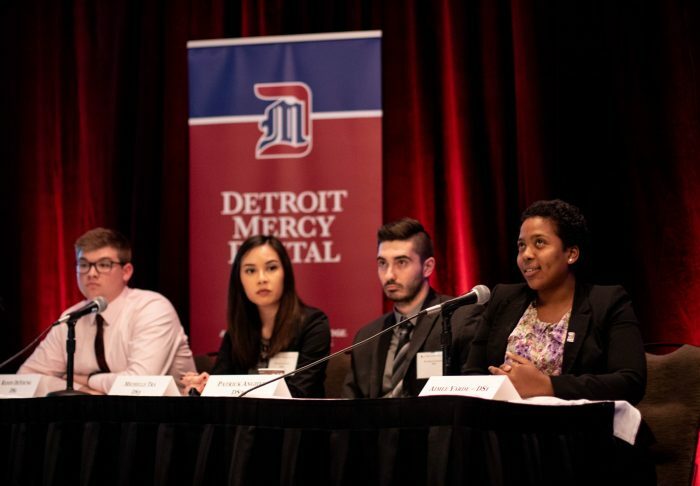 Alumni appreciated the opportunity to lean more about day-to-day learning and life at Detroit Mercy Dental. 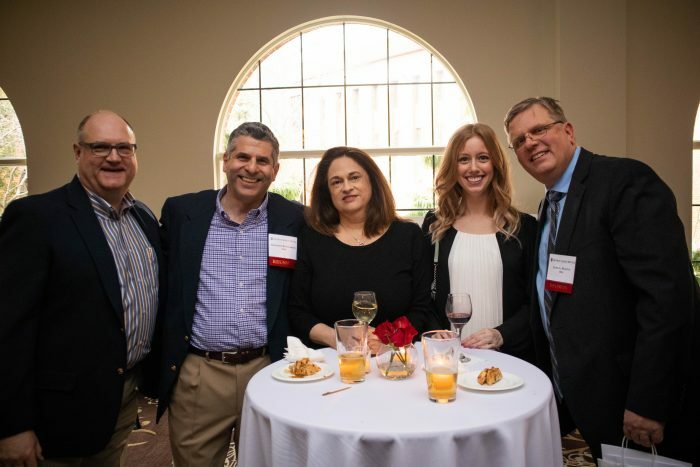 As the day segued into evening, the Dean’s Reception allowed colleagues and classmates to network and mingle over delicious appetizers and beverages. 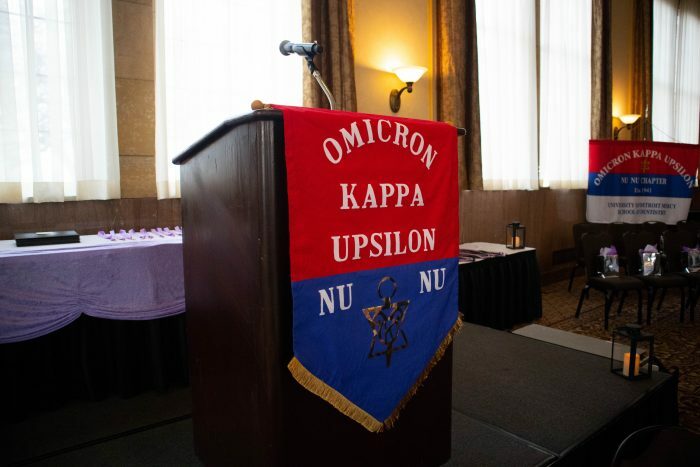 After the reception began class reunions and the Omicron Kappa Upsilon (OKU) induction ceremony. 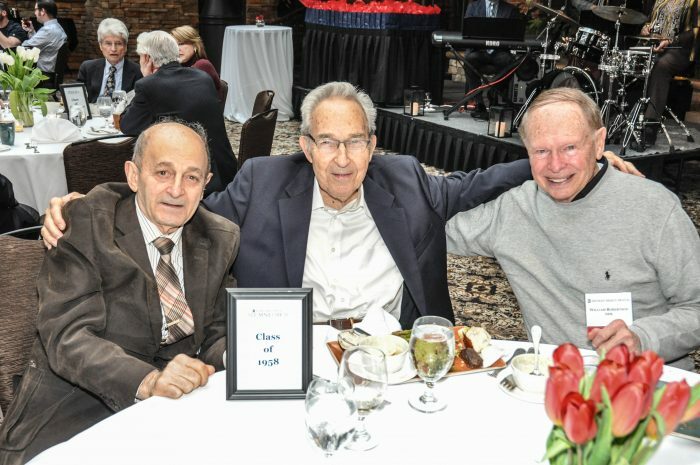 Class reunions were held for graduation years ending in “3” and “8.” To the soundtrack of a live band, classmates exchanged stories from year past, reliving the good old days. 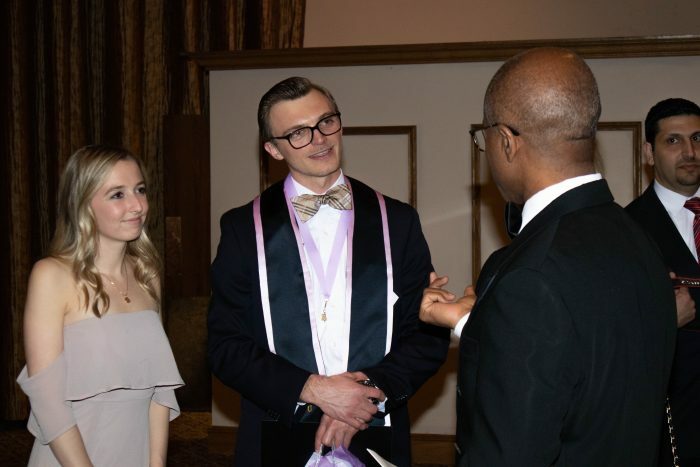 The OKU induction ceremony also took place in the evening as Class of 2018 dental students and honorary faculty were inducted into the prestigious honors society. 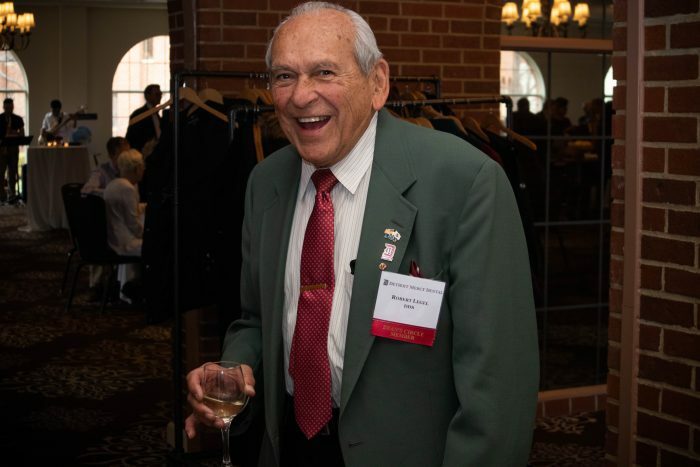 It was a special evening for the honorees to celebrate this high achievement with their family and loved ones. 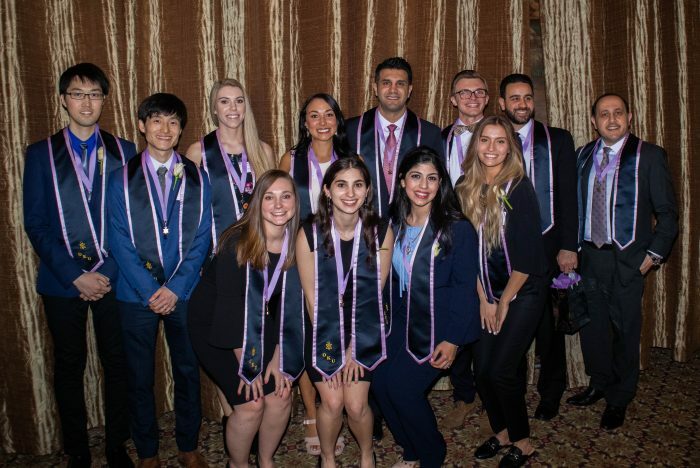 Congratulations to the following student and faculty OKU inductees: Maryan Luay Alkhoory, Hussien Sam Baydoun, Lei Cao, Kelvin Chen, Alicia Clark, Tiffany May Elliott, Jessica Renee Hazzard, Derek Francis Holecek, Abdullah Mahmud, Reeva Courtney Mincer, Kristi B. Wojtowicz, and Dr. Bassam Kinaia, associate professor. 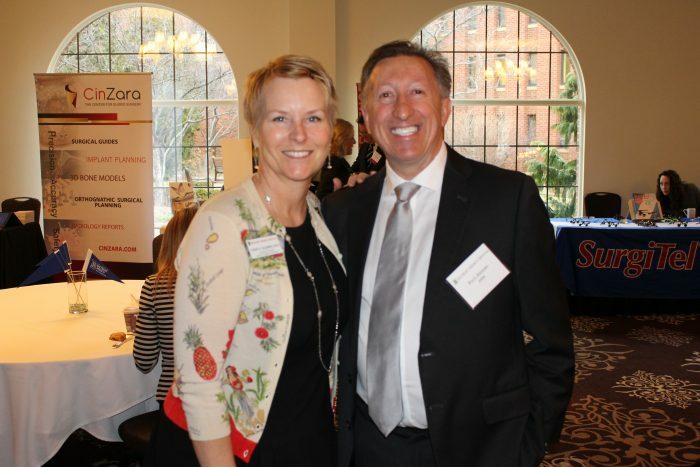 We always look forward to visits with our alumni! 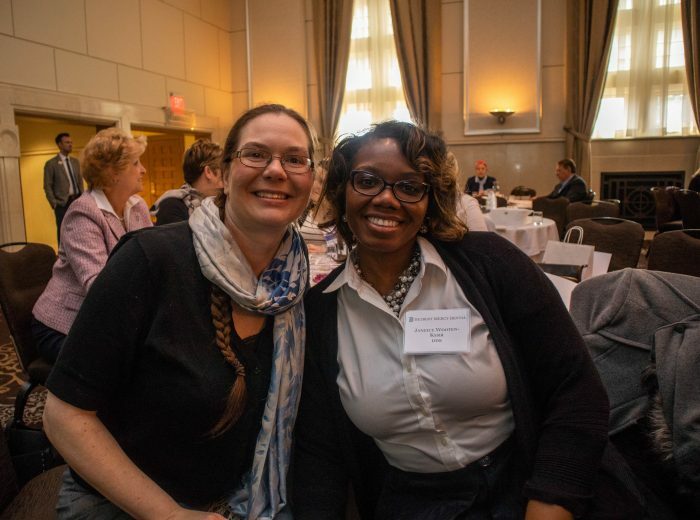 Alumni Day 2018 was enlightening, nostalgic, and packed with big smiles. 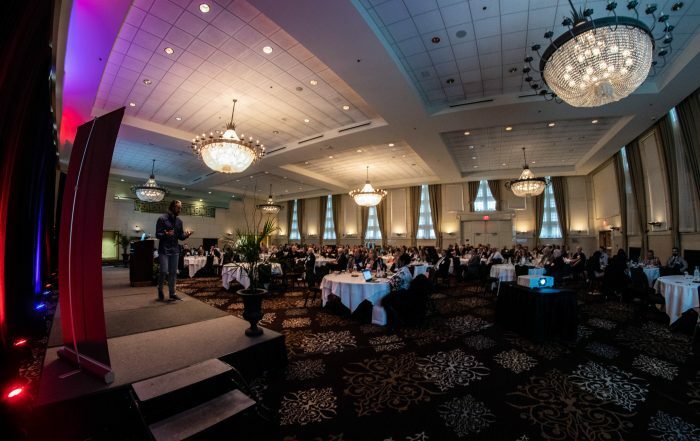 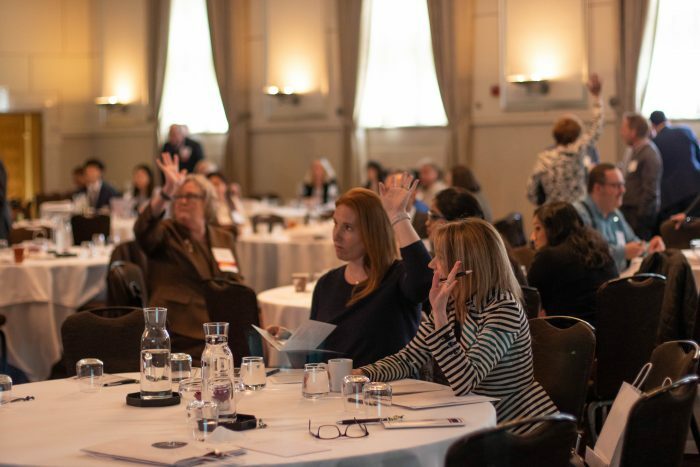 We are already looking forward to next year’s event! 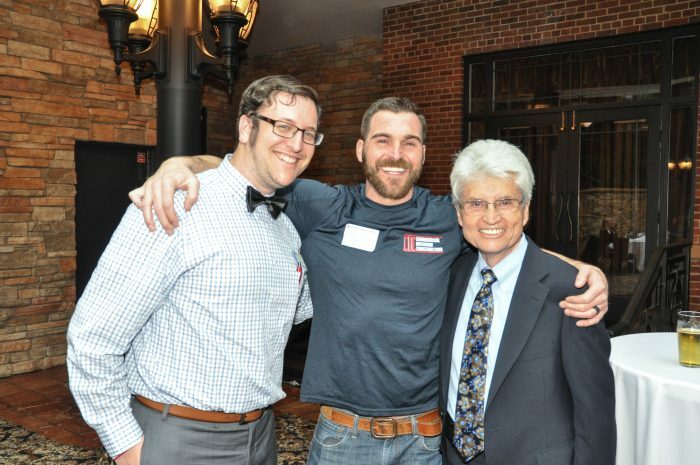 For a full album of photos, visit our Facebook page.